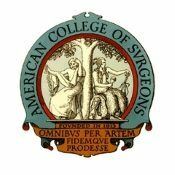 Active membership shall be Fellows and Associate Fellows of the American College of Surgeons residing or practicing in this area and are members in good standing of the College. Resident members shall have graduated from a medical school acceptable to the American College of Surgeons & is currently enrolled in an accredited training program focused on a surgical specialty as noted in the by-laws. Emeritus membership shall be limited to those members over the age of 65 or retired from the active practice of surgery and have applied for such status through the American College of Surgeons. Medical Students in a U.S. medical school accredited by the Liaison Committee on Medical Education (LCME) are eligible to apply as a Medical School member of the Chapter.